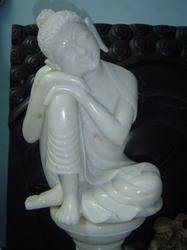 We are reckoned as the manufacturer, supplier and exporter of Marble Statues. We offer the exclusive range of Marble Ganpati Statues, Durga Mata Statues, Marble Radha Krishna Statues, Marble Hanuman Statues and Marble Lord Krishna Statues, which are designed beautifully by our craftsmen. Our extreme range of product is highly appreciable by our clients for its quality material. Our products are well-known in the industry for their design, amazing polishing and durable finish. 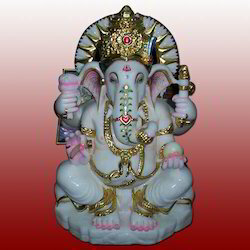 We are renowned as the most popular enterprises in this industry, offering a high quality Marble Ganpati Statues. Craftsmen have designed the product by using quality material; due to the supreme quality material the product has long lasting life. Our statues are widely used in gardens, lawns for decorative and remembrance purposes. 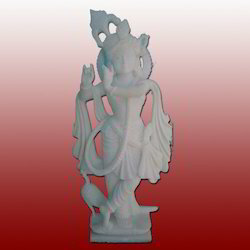 Moreover, our valuable customers can avail these statues from us at reasonable prices. 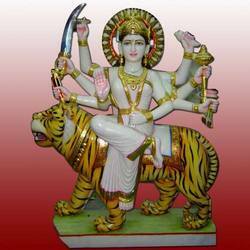 We are passionately engaged in offering an excellent quality Durga Mata Statues. Our provided statue is designed and carved by making use of high grade marble under the stern guidance of our creative artisans by implementing ultra-modern carving tools. Also, our provided statue is accessible in different designs & sizes to suit various customers’ requirements. The statues offered by us are wide adored at homes, temples, offices and varied alternative places. We feel immense to introduce ourselves as a leading manufacturer, exporter and supplier of a wide range of Marble Lord Krishna Statues. 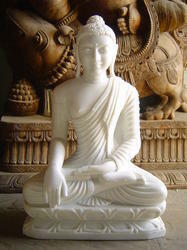 Our offered Marble Buddha Statue are and carved by our experts using high grade Marble and are finely engraved with the help of latest carving tools. 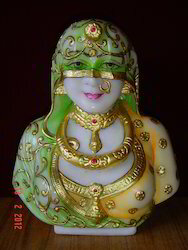 Beautifully carved and hand painted traditional Rajasthani marble bani thani statue. 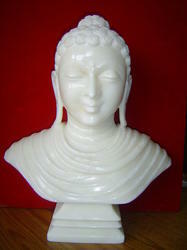 We are offering our client an excellent quality range of Marble Buddha's Bust. 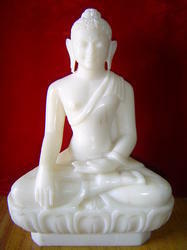 Lord Buddha's Bust made from Pure White and Mirror polish Marble. 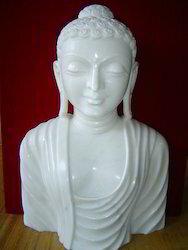 These Marble Buddha's Bust is available at most reasonable prices. These Marble Buddha's Bust have the rare distinction of royalty stamped on it. Our marble statue are available in varying size, luminous colour, and are polished to a glossy and reflective finish. 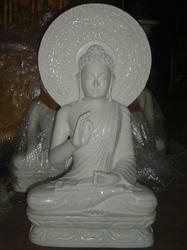 Under precious guidance of our professionals, we are involved in offering a broad spectrum of Marble Buddha Statue. Our offered Marble statues are precisely crafted utilizing quality assured raw material and best tools according to the market trends. 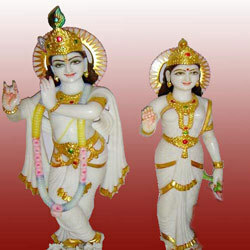 Under the guidance of our trained professionals, we are able to offer Marble Radha Krishna Statues. The offered statues are designed by our team of experts using latest methods and best quality marble. These statues are extensively worshiped in homes, temples, offices and various other places. Our prestigious clients can avail these statues from us at affordable price in quality packing. Owing to our rich industry experience, we have been able to offer Marble Hanuman Statues. Our offered hanuman statues are crafted under our experts’ supervision by utilizing top notch quality marble and advanced tools. 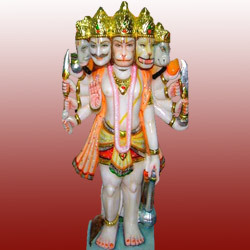 We offer these hanuman statues in diverse colors, sizes and designs as per customer’s requirements. Additionally, our hanuman statues are completely checked from in order to ensure its flawlessness. Looking for Marble Statues ?